Dani Rovira, the Málaga-born actor who is fast becoming a household name in Spain, has visited his idol and fellow Malagueño's star on Hollywood's walk of fame. 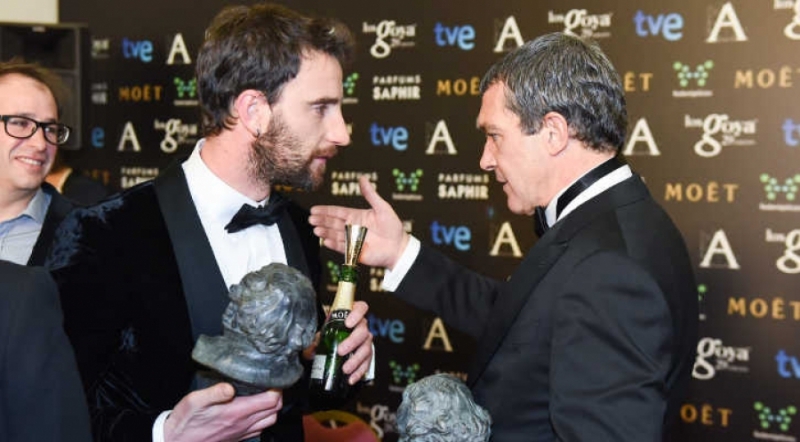 During the Goya Spanish film academy awards last month, Rovira and Banderas had jokingly promised to meet up in Los Angeles and have a beer or two. Shortly after arriving in the American city, Rovira posted a selfie on twitter next to Banderas' boulevard star, commenting that he wouldn't get down on the floor for anyone else. To which Banderas quickly replied: "Glad to be walked all over by Dani Rovira."